As IT infrastructures evolve in scale and complexity, it is no longer sufficient to use a silo-based approach for monitoring, in which each technology tier is monitored independently by a different tool. 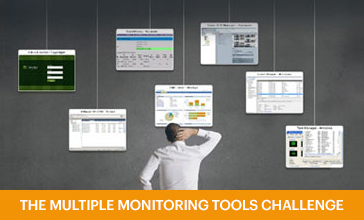 Managing multiple consoles, sifting through dozens of false positives, and manually comparing metrics from different sources makes IT infrastructure monitoring complex, time-consuming and ineffective. 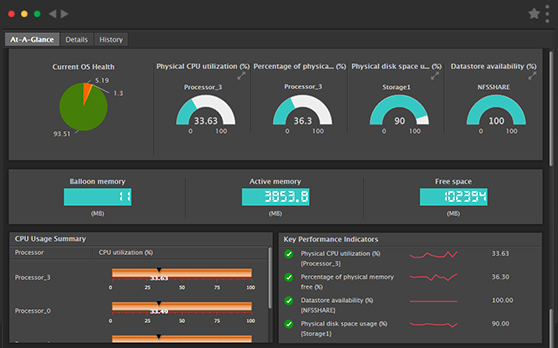 To deliver the service quality and reliability that businesses expect, IT teams need unified visibility and actionable insight to diagnose performance issues across the entire IT environment—both physical and virtual; both on-premises and cloud. 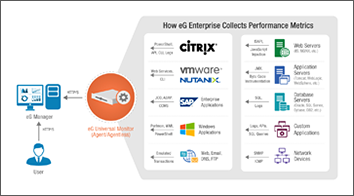 eG Enterprise offers unified performance monitoring, diagnosis and reporting for today's IT infrastructures. Its universal monitoring technology provides visibility into every layer of every tier of an infrastructure—from hardware to applications, desktops to storage, virtualization to databases—all from a single pane of glass. 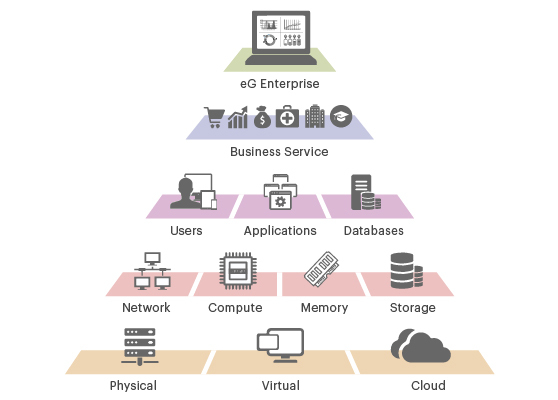 eG Enterprise provides the deep diagnostics and actionable insight needed to troubleshoot issues, right-size the infrastructure and plan for future growth. 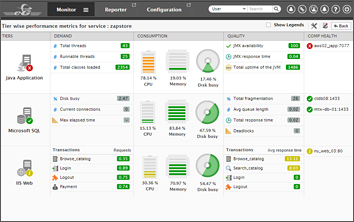 It auto-correlates performance metrics across all infrastructure elements and identifies the root cause of performance issues in seconds. By providing cross-domain and cross-tier visibility to administrators, eG Enterprise eliminates disagreements and blame between IT infrastructure departments: A virtualization admin does not need to check with the storage admin if there is any slow LUN. The application architect need not ask the network admin if there is a connectivity issue. All performance information is at hand, at all times. 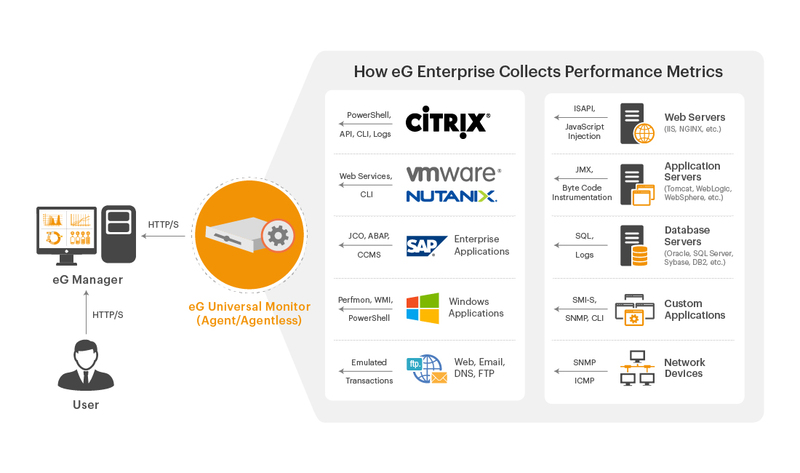 Use the eG universal agent to monitor over 180 different applications, 20+ storage devices, 10+ operating systems, and 10+ virtualizations platforms, out of the box. Administrators can easily choose which servers/devices are to be monitored agentless and which are to be monitored using agents. Licensing is not based on cores, sockets or by application, eliminating the often complex task of managing monitoring licenses. 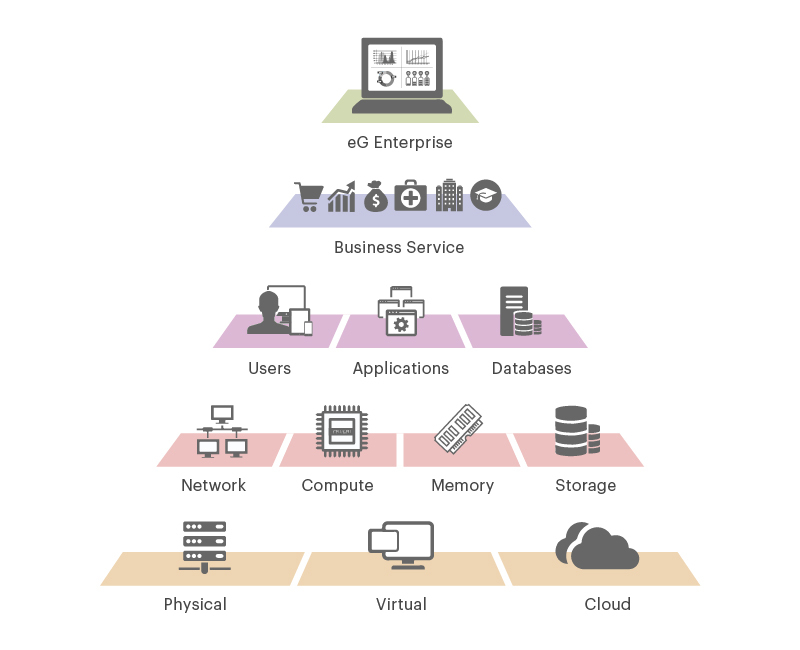 Depth throughout each tier: Built-in domain expertise allows eG Enterprise to provide automatic detailed diagnosis for common problems, minimizing the expertise required for successful troubleshooting and monitoring. Speed of diagnosis: With eG Enterprise, even the toughest IT performance challenges can be solved in minutes. 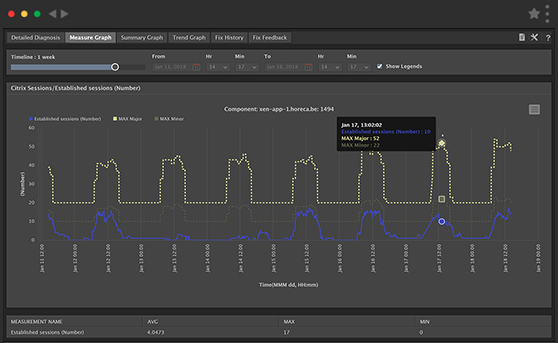 Automatic baselining, coupled with root cause diagnosis and correlation, enables system alerts to be truly proactive and actionable. Eliminate disagreement and blame between IT teams: network, systems, virtualization, storage, helpdesk, etc.